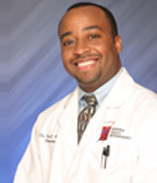 Dr. Derek E. Brown is an orthodontist for the residents of Montgomery County, Maryland. An orthodontist is a dentist who specializes in the proper alignment of a patient’s bite. He or she also fixes crooked teeth and jaws. To repair a misaligned bite, the orthodontist can offer a patient a treatment such as braces. These can be traditional metal braces, tooth-colored braces, or braces that are placed behind the teeth to hide them. After the braces have been worn, the dentist might have the patient wear a retainer to support the new alignment of the teeth. Orthodontists such as Dr. Brown can also offer patients a treatment called Invisalign®. The patient wears trays that can be taken out for him or her to eat or attend to dental hygiene. The trays are custom-made and changed every two weeks as the patient’s teeth come more and more into alignment. An orthodontist also performs orthognathic surgery, which treats abnormalities of the teeth and the jaws. Winning Smiles Orthodontics is pleased to offer our services to the residents of Montgomery County. We use the latest technologies and materials and are always attuned and sensitive to the needs of our patients. Give us a call for a consultation at 301-242-3091.